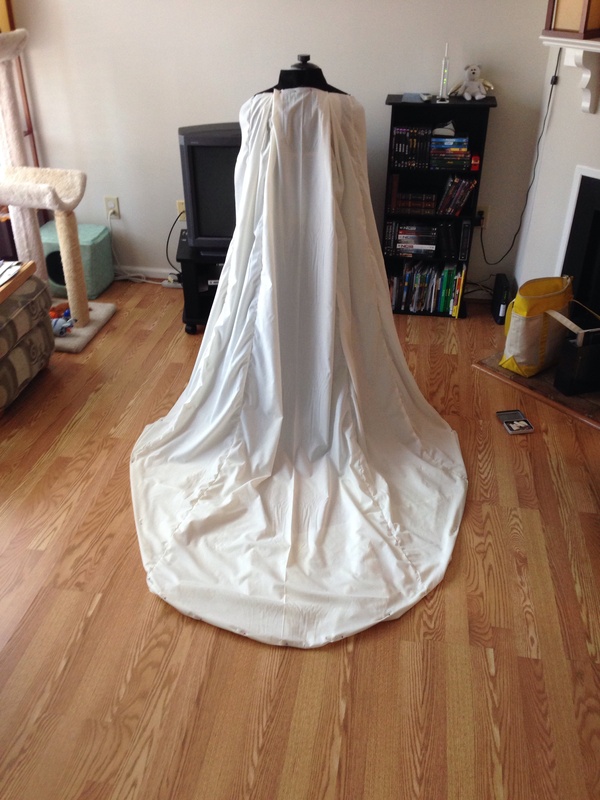 This entry was posted in Cosplay, Sewing and Crafts and tagged coronation, cosplay, craft, disney, disney cosplay, disney princess, disney princess cosplay, elsa, elsa coronation dress, elsa cosplay, frozen, queen elsa, queen elsa cosplay, sewing. Bookmark the permalink. Your costume is absolutely stunning! I would love to see an update once you finish everything. Thank you! Except for gloves (which I refuse to make for sanity) it is done. I just haven’t had a chance to get proper photos since it’s so hot and humid (I live in the southern US). I’ll be wearing Elsa to AWA at the end of Sept, and two of my photographer friends will be there so I’ll have some pictures then. I’ll be wearing her braid though since my favorite part of the Let It Go song is when she pulls out her bun (and it relieves me of dragging the cape around a crowded con). I so don’t blame you on the glove thing. Having to sew gloves sounds like some sort of medieval form of punishment, lol. I totally understand the heat. I’m so happy I’m in the Pacific Northwest now. I lived in Hawaii for years prior to that, with no AC. Awesome work! Would u be willing to make the dress a second time but without all the details on it for me to purchase? Sorry, no. I don’t take commissions. Wow this turned out amazing! I love how this is coming together. 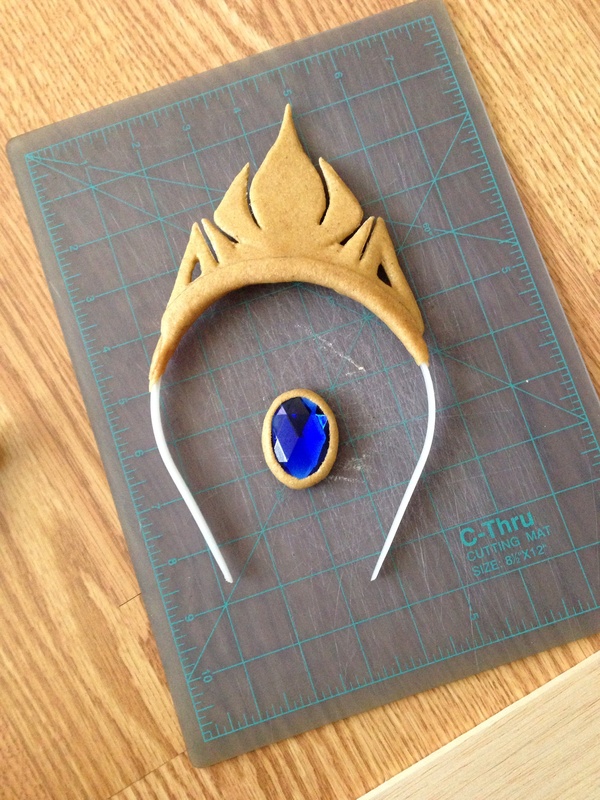 I am working on my own elsa coronation dress. I was wondering what is a godet? I have done some research but still have questions. Also I believe I found the Simplicity 5235 pattern but I wanted to make sure. Does it have a picture of two women on the front one wearing a black skirt and white shirt and the other woman is wearing floral pants and a yellow shirt? Your help would be much appreciated. Unfortunately, no, that does not sound like the Simplicity pattern I used for the main dress part. This is the one I used: http://sewing.patternreview.com/Patterns/5520 My pattern is quite old since I’ve been using it for various cosplays since 2007. Thank you for your compliment! 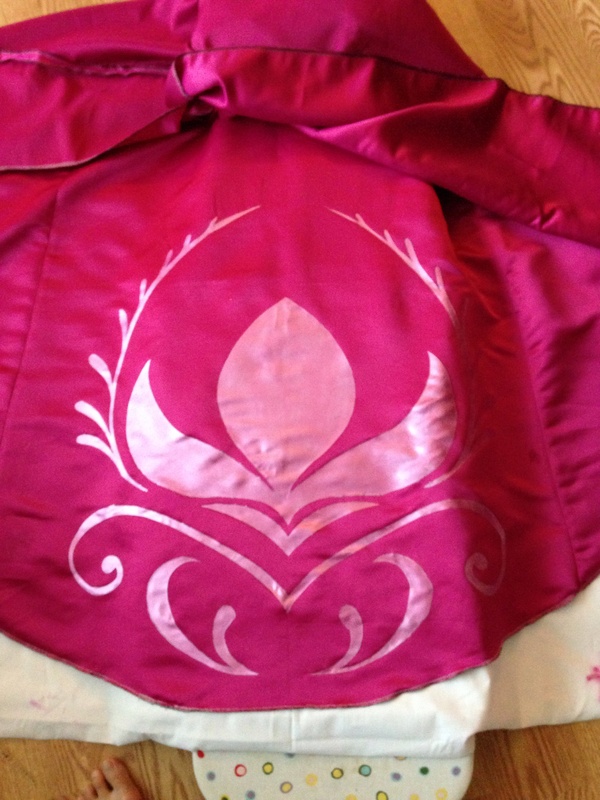 However, I likely will not be making any coronation gowns for commission for two reasons: I cannot replicate the same quality hand embroidery a second time (and I still refuse to buy a machine) and it is such a form fitting gown it will require constant fittings. You’re welcome, thank you for the reply. It was tough for me to ask knowing how much time and dedication it takes to create one of these! Once again, bravo. Beautiful job! 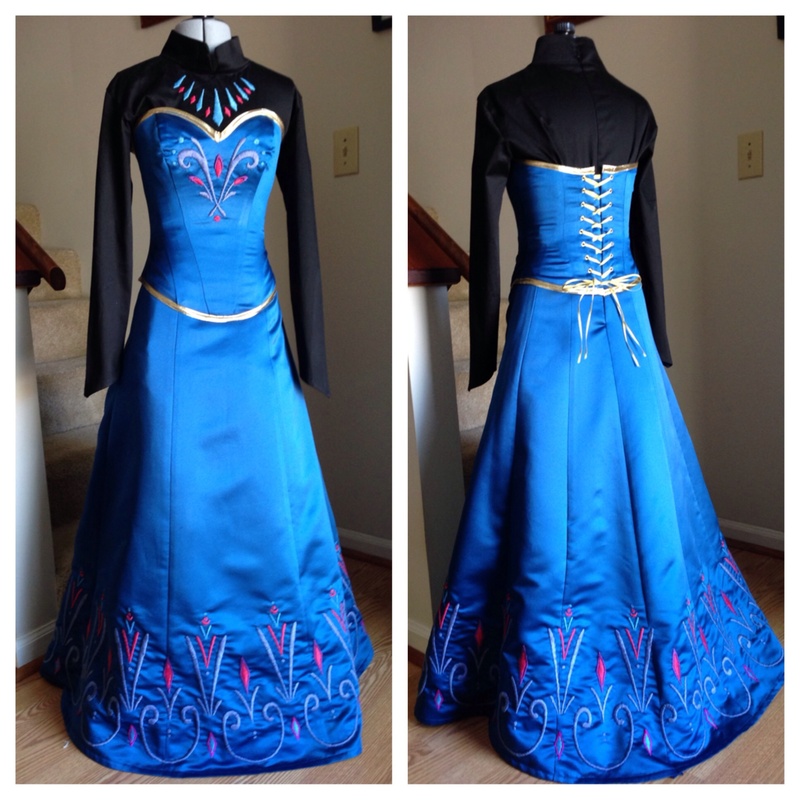 This is by far my favorite Elsa coronation gown I have seen around the interwebs. Its gorgeous! Did you ever get the chance to take pics of the completed dress? If so I am dying to see them! Thank you! Unfortunately as of yet I have not been able to schedule a photoshoot. I am hoping soon before my wig gives out. Hello Sew Kurafty, such a lovely Coronation dress! I love all of the embroidery. I was curious to see if you would at all be interested in making and selling one for me? I can order them just about anywhere but what sets yours apart from the rest is the hand embroidery. I absolutely love it and would love to own one like it. Please if interested let me know. 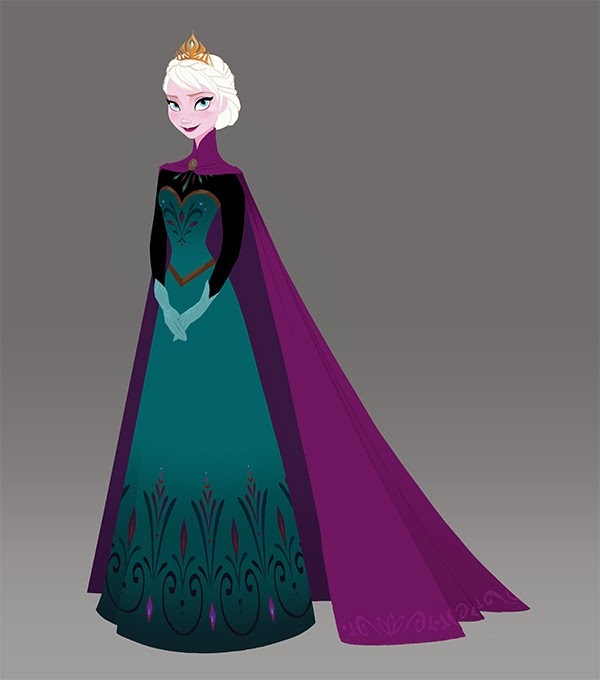 So many people have asked to commission me for their own version of my coronation dress. I really wish I could help you out, but I have to decline all commissions. I don’t really have the time or energy to make another with my job. Plus, the embroider is done by hand and takes a huge toll on my fingers and joints. Most importantly – for me – I wouldn’t be able to give a second dress the same level of craftsmanship and enthusiasm I put into mine. It would just become a chore and I don’t think that’s fair to others. Really, thank you truly for your interest but I will have to respectfully decline. I absolutely understand. What a bummer though, yours is absolutely gorgeous! I just need to learn to sew and do embroidery on my own. Thank you though. All of your work is wonderful!